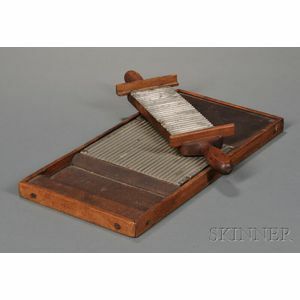 Shaker Pewter and Wood Pill-making Device, Mt. 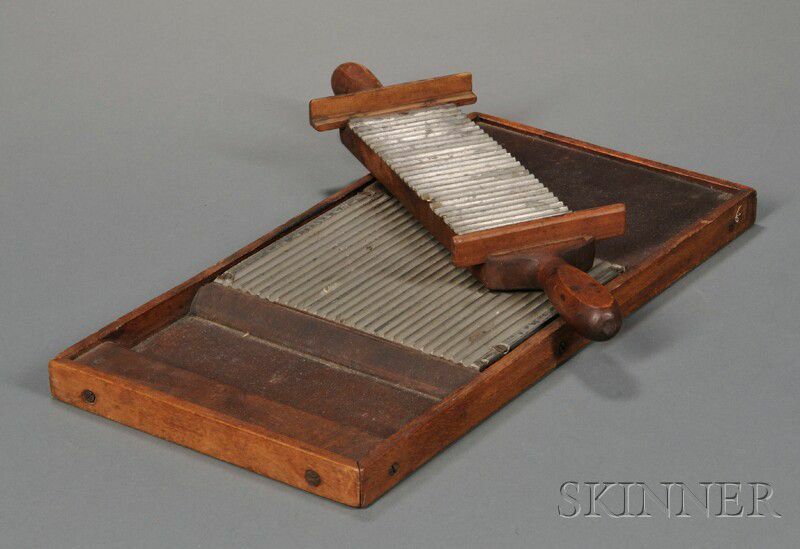 Lebanon, New York, c. 1840, two-part device made of ash and cherry with ridged pewter troughs, 8 x 16, arm 4 1/2 x 15 in. Literature: For a similar example see Shaker Design, by June Sprigg, W.W. Norton & Company, publishers, p. 130.